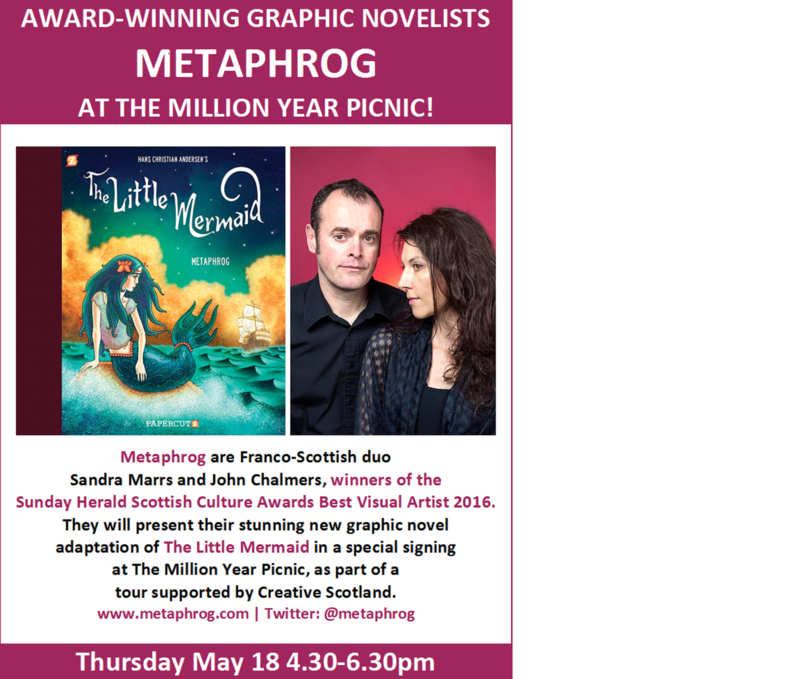 AWARD-WINNING GRAPHIC NOVELISTS METAPHROG AT THE MILLION YEAR PICNIC! Sunday Herald Scottish Culture Awards Best Visual Artist 2016.
tour supported by Creative Scotland. 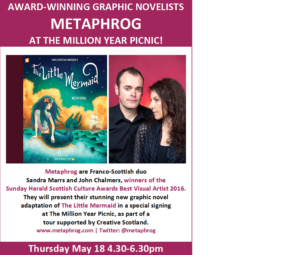 This entry was posted in 2017, Announcement, Events, Local Events, May and tagged Creator Signing, Local Events, Metaphrog, Signing by Kelly. Bookmark the permalink.